This week I spent some time playing with Staedtler Blue. This is an amazing ink is bright and cheery. I was pleasantly surprised with how beautiful it is given Staedtler's conservative demeanour. My brain buzzed blue, and I decided to go through stock and count how many similar inks have been popular in recent months. Here's one of them! Diamine Sapphire Blue is gorgeous! 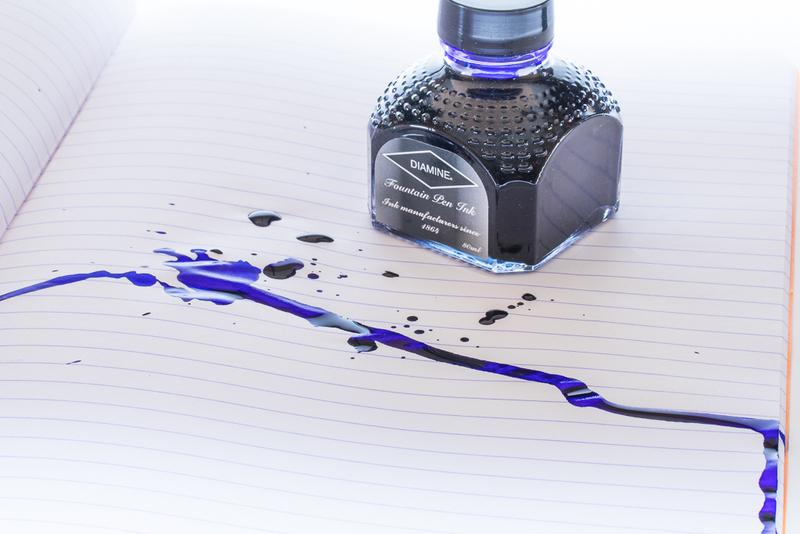 Its a classy sumptuous ink that is worthy of any fancy pen, including your favourite Staedtler! I always thought blue ink was a little boring (except blue-black which I generally find very enticing) but I have to put Sapphire Blue right up their with Waterman's Serenity Blue and my new found Staedtler Blue. I have always associated blue fountain pen ink with horrible teachers and terrible schooling but it looks like modern ink is going to change my mind. After spilling it over my table I now have a beautiful sea of colour to clean up! Or leave! Your choice! For me it’s PRIVATE RESERVE BLUE SUEDE,,,,its a green blue which looks more blue or more greenish blue depending on the light! We would love to get Private Reserve in stock! I’ll add Blue Suede to the list!